Some training events or clients are best suited with a print and ship solution, while others would be much better served by a completely digital and mobile solution. How do you streamline these seemingly different and complex requirements while reducing your costs at the same time? Customer needs are mixed with some preferring print, and some digital. Printing and shipping is expensive, slow and inefficient. International shipping logistics create challenges. Clients have green initiatives and expect their vendors to align. Trainees express the need to access materials anytime, anywhere, from any device. Aligning your print and distribution practices to the actual needs of buyers is a powerful opportunity for differentiation. In this use case, we’ll review common challenges and how SharedBook helps training and consulting companies address them. In many cases, clients have a range of preferences resulting in a need to support both print and digital distribution of materials. This results in having to implement multiple distribution methods, or worse, only meeting a portion of your clients’ needs leaving yourself open to the competition. A set of typical training manuals can cost $500-$2000 to print, more to ship domestically, and a lot more to ship internationally. Organizations with lower print volumes tend to pay high rates for production or try to print on internal machines which are prone to malfunctions are repair costs. Organizations with larger print volumes often work with third parties to print and ship, losing control and seeing these costs become a major expense. Additionally, anytime an error is found, the reprint process can be a major challenge and additional cost. International shipping of materials can make or break your success. Having materials delayed or stuck in customs is a major risk. Many of our customers have described international training events that were thrown off course due to customs-related issues. Increasingly, clients expect partner vendors to offer green and low ecological-impact solutions. Some companies require their partners to only deliver digital materials. Offering digital and mobile versions of training content helps differentiate your business and meet this table stakes requirement for many clients. In many cases, your clients may actually prefer digital and mobile versions of your training content. Printed versions are easily misplaced, damaged or, for various reasons, not on hand when the trainee needs your content during their work activities. Additionally, when a large volume of content is involved, printed materials make it difficult for employees to quickly locate specific information needed for critical tasks. Digital and mobile materials are far better suited for these needs. In the printing world, volume is king. SharedBook is able to pool its national printing volume across all of our clients to deliver deep printing discounts. Compare our rates to yours as the savings will likely create an immediate ROI. SharedBook partners with FedEx Office to create the most cost effective way to deliver printed materials across the entire country. Within SharedBook, you are able to choose any of 1,800 FedEx Office locations to produce your materials. We provide free local pick up or delivery from that location. This could completely remove your current shipping charges. Have you ever accidentally omitted material from a training workbook, or made other errors which necessitated costly reprints? With SharedBook, those days are over. Your SharedBook training materials are always current. If you need to make a change to a pack, with the push of a button you can update the version your trainees already have. This capability also allows you to time release portions of content at precise moments in the training cycle! Transitioning some or all of your existing clients or printed materials to a digital and mobile distribution solution is the optimal way to reduce your costs. Removing printing and shipping costs can relate in substantial cost savings. There are no re-authoring costs or time required with SharedBook. You start by uploading your existing training materials - PowerPoint presentations, Word docs, PDFs, and video files - to your private, secure, cloud-based SharedBook account. 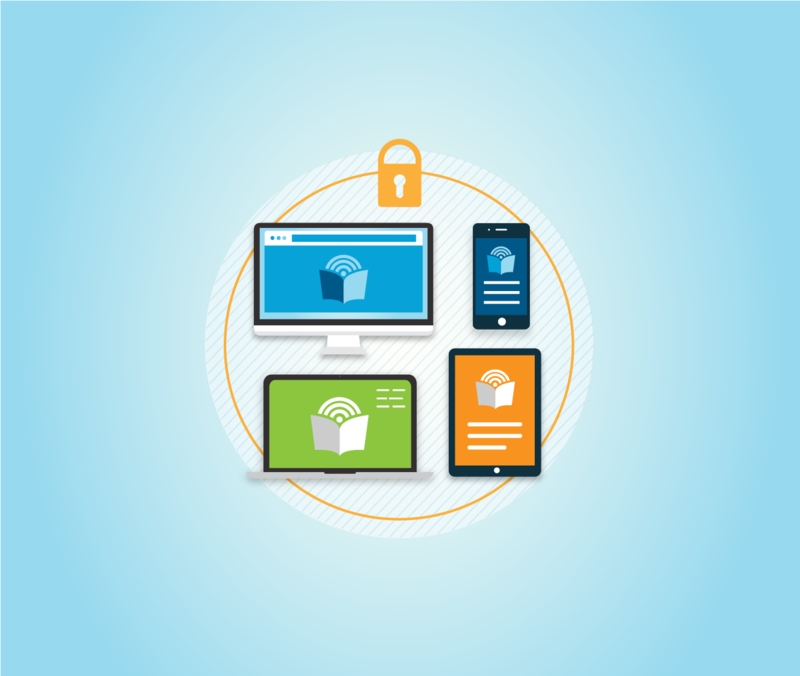 SharedBook will automatically build a secure mobile “Pack” for distribution or a print-ready version. Once your pack is created, you can distribute it directly to your client within SharedBook’s secure mobile environment or even sell it via your private SharedBook Marketplace. In every case, you retain complete control over who accesses your content and can retract or update it at any time. SharedBook’s Professional Edition allows you to offer branded iOS and Android apps as well as branded web portals for users and administrators. You get the benefit of professional looking apps without the time and cost of developing them. It’s important to remember that the training and consulting industry is highly fragmented with many providers. Differentiating your business is critical to success. Spending dollars on things that some clients may not value, like expensive printing and shipping solutions, reduces your ability to invest in other key areas of your business such as advertising, branding, product development, etc. When you use SharedBook’s Professional Edition, you can use our powerful assessment engine to craft tests and polls using over 50 ready-made question types. And we’re not just talking about multiple choice and text fields; you can add audio-based questions, interactive charts and graphics, mathematical equations and more. All user responses roll up into your analytics reports and dashboards. SharedBook’s reporting and analytics modules provide deep insight into who is accessing your content, what they find most interesting, and how they are responding to assessments, surveys, and polls. You’ll never need to worry about someone copying or scanning your content. When your materials are used, you’ll know exactly who is using them. Printed versions are easily misplaced, damaged or, for various reasons, not on hand when the trainee needs your content during their work activities. Additionally, when a large volume of content is involved, printed materials make it difficult for employees to quickly locate specific information needed for critical tasks. Digital and mobile materials are far better suited for these needs. 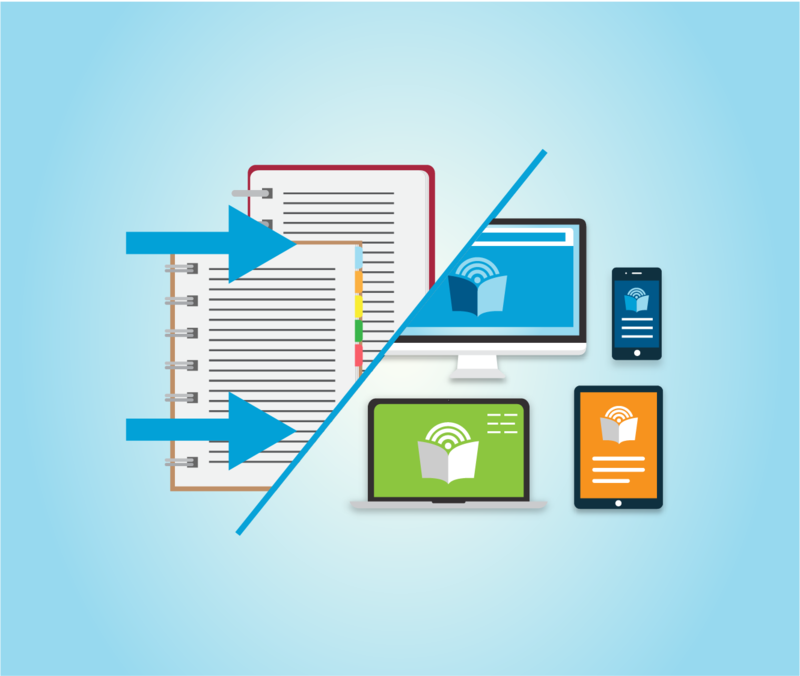 SharedBook can help you provide the best of both worlds, at a lower cost. There are no lengthy implementation cycles with our cloud-based solution, no confusing software to learn, and no requirements to re-author your materials in different formats. Our Customer Success Team has unique expertise supporting organizations at all points of the print to mobile delivery spectrum. SharedBook is designed to help you meet your customers’ expectations, improve your efficiencies, and reduce costs in the process.